In my quest for snacks that are grain- and sugar-free I have been mainly finding things to satisfy my sweet tooth – also fun things to share with playgroup that we can all eat. I haven’t given much attention to savoury snacks, except for my standby seed crackers (which can double as a pizza base). These get me through my snacky moments in the day, with a bit of avocado, cheese and tomato on top. Yum. In my food box this week I found a small bunch of kale, and suddenly remembered the holy grail of savoury snacks: kale chips!! These are so easy, so crunchy and so more-ish that they never last long …. so really as a snack they are a bit useless. These are reserved for guilt-free pig-out moments. Everyone in the house loves them too. They went to kindy in my four-year-old’s lunch box today. I first had these about two years ago, and snacked on nothing but kale for about two months, I loved them so much. 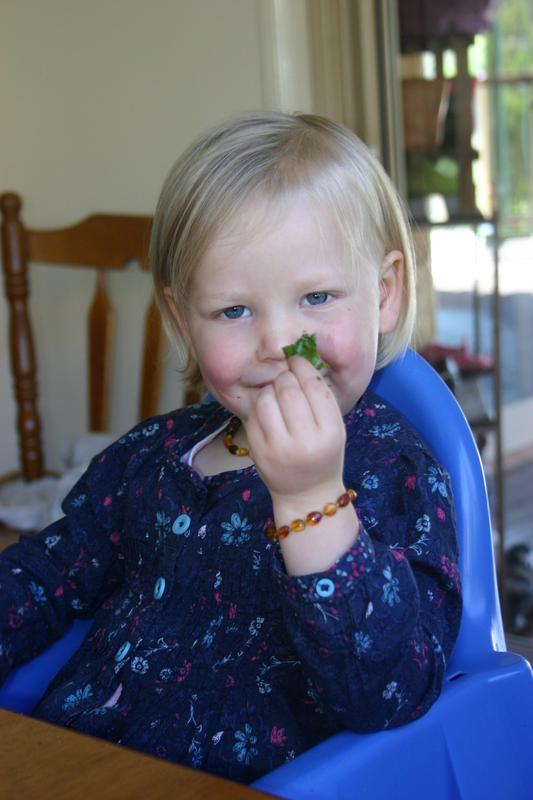 Kale is full of a bunch of good stuff, although I couldn’t tell you what it is … doesn’t matter. This is a snack that incorporates a fresh vegetable and only two other ingredients so really you can’t go wrong! I actually think they are better than popcorn. Wash your kale well and dry it thoroughly. 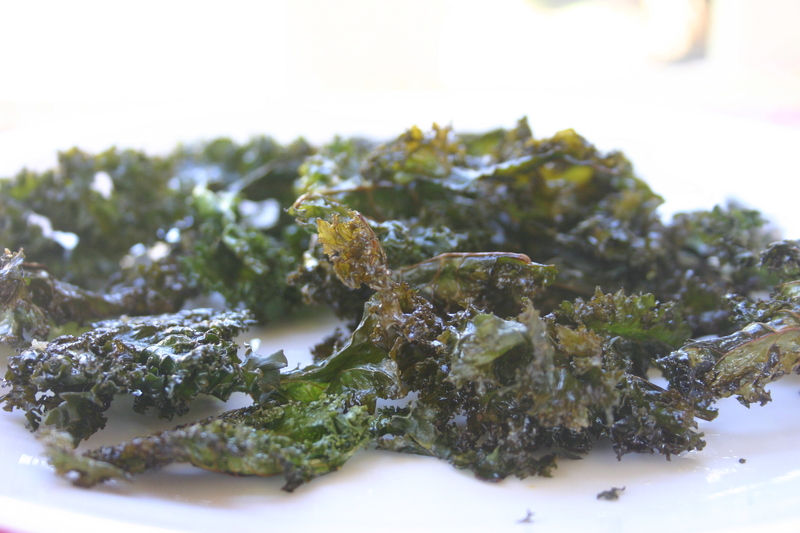 It needs to be really dry or the oil doesn’t coat it well and the kale goes soggy rather than crunchy. 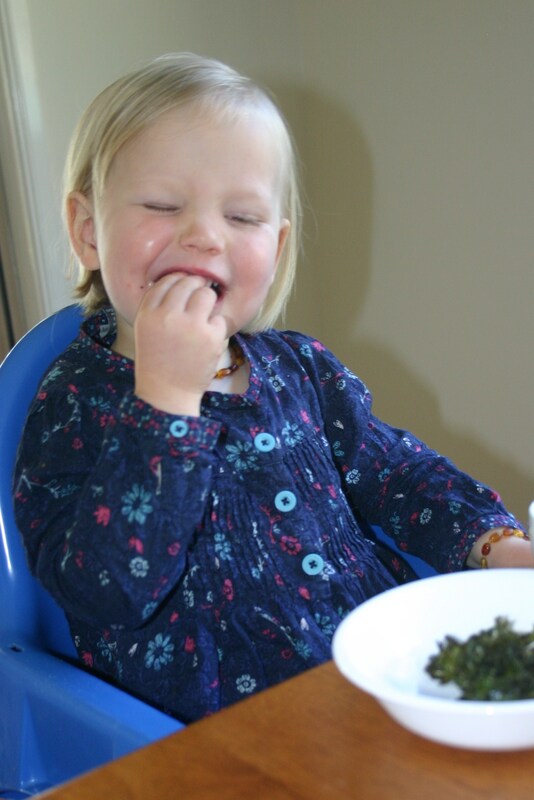 When kale is dry, cut out the centre stalk and rip into chunky pieces – not too small! Place kale in a bowl and add oil and salt. 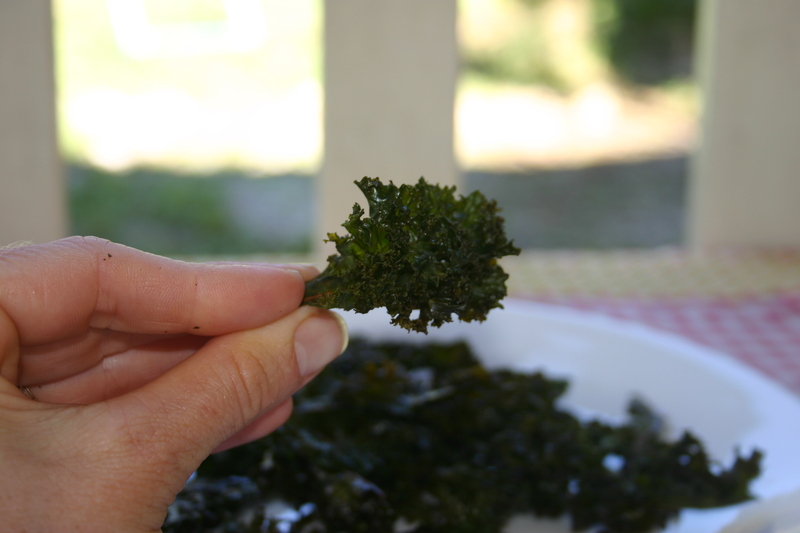 Rub in well with your hands, ensuring that all parts of the kale are completely coated. Spread evenly on baking paper on a tray and place into a pre-warmed oven set to 160C. Bake about 20 minutes and allow to cool on the tray. When cool they can be stored in an airtight container but most likely they will all be eaten straight off the tray and storage won’t be necessary.